Regardless of whether you need to make rope for emergency or decorative reasons, knowing how to make a makeshift rope out of fabric is a good skill to have. You can use any kind of fabric, but the rope will only be as strong as the fabric that is used to make it. You can use different colors of fabric to make it more creative. Ropes are created by intertwining different types of material. Place the fabic on a flat surface. Fold the fabic in half to make it easier to cut strips through the full length of the fabric. The length of fabric needed will depend on how long the rope you are making needs to be. Use appropriate lengths of fabric. Cut the fabric into strips using scissors. 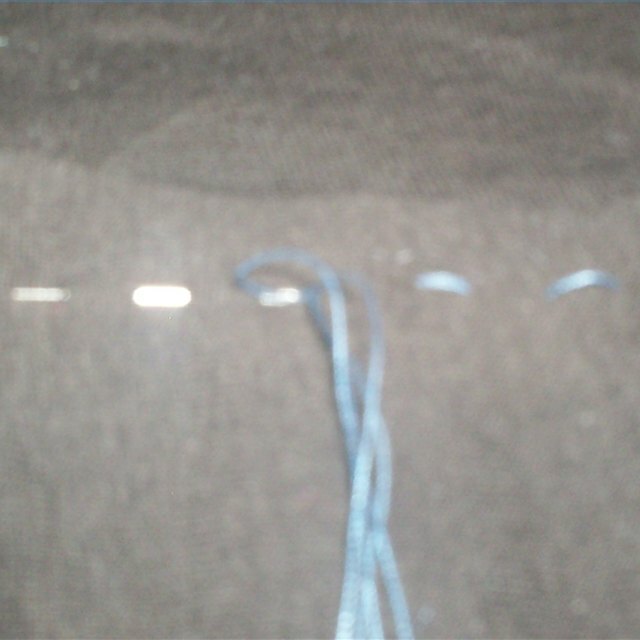 Wider strips will allow for stronger strands of fabric. Therefore, if you are going to be using the rope for something very heavy, cut the fabric into wide strips. After you have cut the strips, unfold each strip to full length. Place all the strips of fabric on top of each other. Make sure that the length of all of the strips is equal to begin with. Tie one end of the stack of fabric together. You can do this by using a rubber band. If you are going to use the rope to hold up a heavier object, you can use another piece of thin fabric and tie one end of the stack of fabric together. Clamp the tied end of the stack of fabric between your knees. Hold the other end of the fabric and begin braiding the fabric together. As you are braiding the fabic, make sure that all of the pieces of fabric are being used. Ideally, you will want to use three strands to make a rope; however, additional strands can be used to add strength. Tie the other end once you have braided the full lenth of the fabric. You can hold the end together with a rubber band or another piece of fabric. Ahmad Sadiq has been writing since 2005, covering political and legal issues. He graduated from the University of Central Florida with a Bachelor of Arts in political science. Sadiq also earned a J.D. from the University of Miami School of Law.